We have two more days of work before we leave for a week in Okinawa. I am finally going to see the annual open ocean sabani race from Zamami Island to the capitol city of Naha. 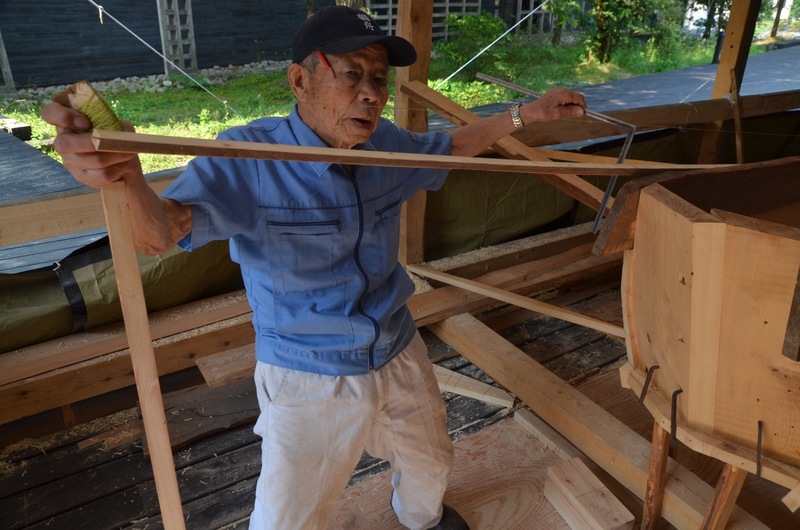 If you go back to the very beginning of this blog you can read about the boat I built with one of Okinawa's last traditional boatbuilders. I will get to finally see that boat in the water. 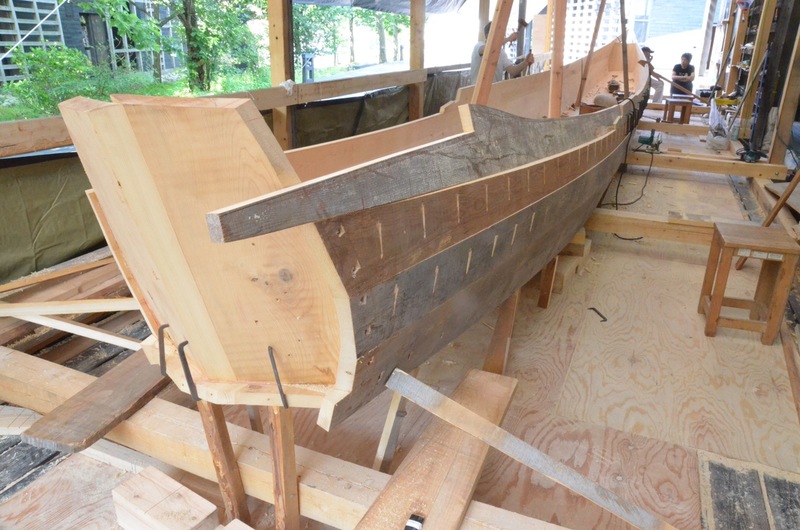 Here on the cormorant fishing boat, we got the last plank fitted on the hull. 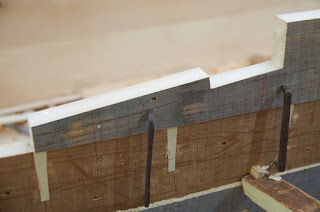 The sheer plank has a more complex scarf joint with a step in the middle. Wouldn't you know but I cut the very last one of four slightly off, but in fact its an easy mistake to fix by inserting a pair of wedges in the gap. In the past my teachers have always wedged this type of joint. Its must faster to make and fit since the pair of wedges makes up the difference. In this case I was about 3/16th of an inch off. 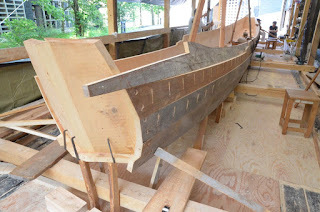 Here is the view from outside after we had glued the scarf and clamped the plank on with dogs. And the view from inside. As soon as the glue dried I cut the wedges flush. 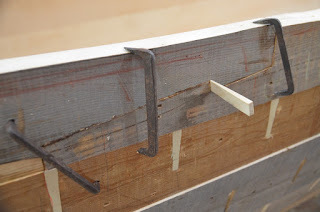 The joint in the sheer strake forward is for a plank extension that will support the forward deck. We did not do this aft, where our planks just ran long as deck supports. 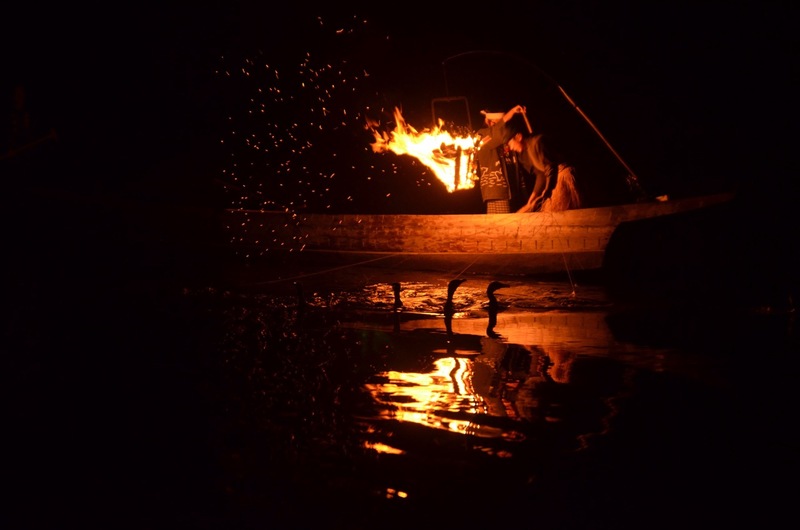 I assumed this was done to facilitate repair, because the forward deck supports a heavy davit for the basket carrying the fire used to attract the fish. 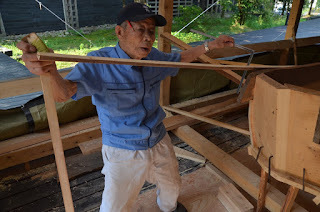 I asked Nasu san and he said this was perhaps the most fragile part of the boat and one he has repaired often, but in the end he said simply that this was the way his father did it, and that was reason enough. 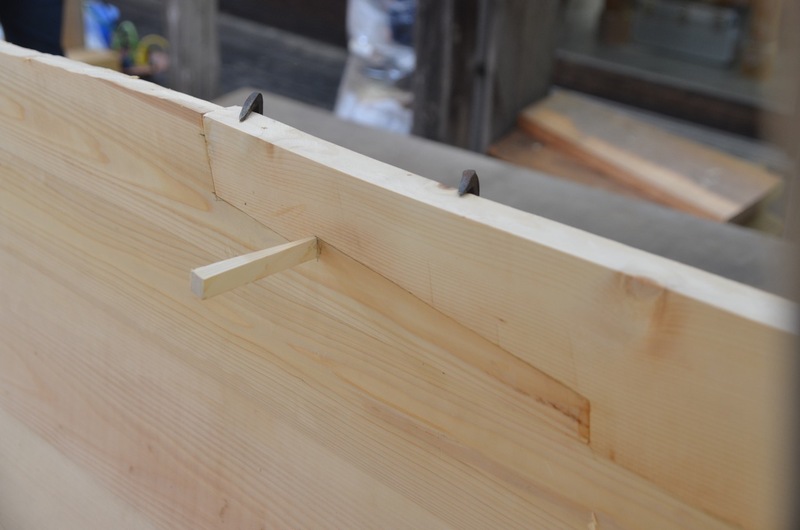 Nasu san attached a batten and ran a string to a point on the sheer plank and showed us how he would calculate the rise in the extension. We went to watch cormorant fishing in Seki. 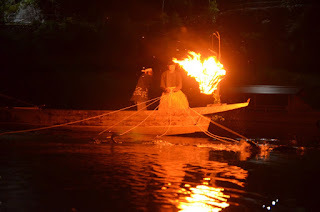 Earlier we had watched the six fishermen in the big city of Gifu, by far the most well-known sightseeing spot, but Seki was wonderful: just three fishermen but our tour boat could get very close, and the setting is rural and quiet, far from the city lights. 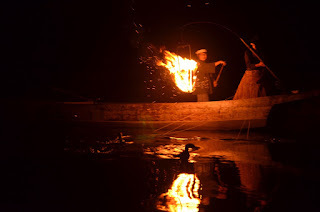 The fishermen swing the fire basket from side to side, and this is when the strain sometimes breaks the forward plank. Afterwards the senior fisherman invited us home to his 350-year old house. 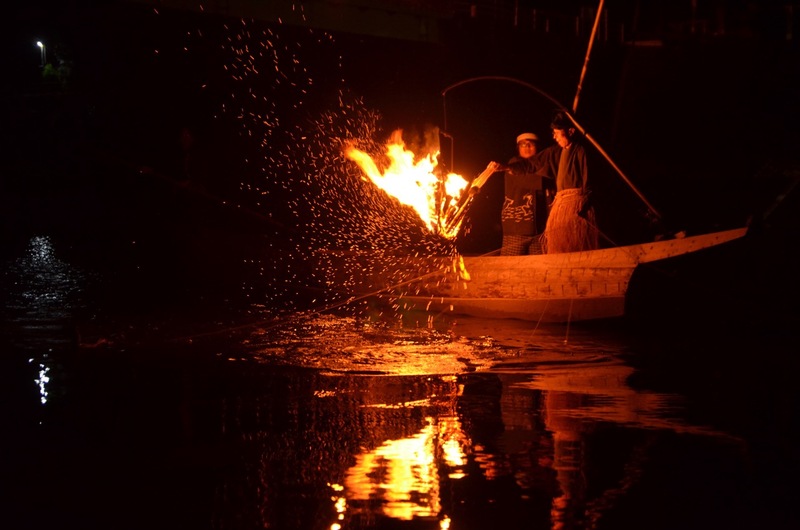 He is an 18th generation cormorant fisherman (you read that right), the longest such lineage in Japan. Being able to trace you family's occupation back so many generations is incredible.